Our professional services clients are demanding timely and accurate access to actionable information distilled from the avalanche of data generated by instruments, experiments, reports and management procedures. The widespread use of automated instrumentation and analytical tools introduces the need for effective, flexible and scalable data management approaches. 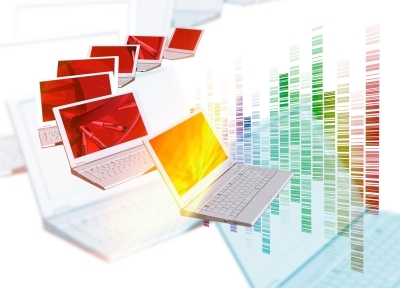 Instrument data and sophisticated analysis techniques are particularly demanding, as they introduce a variety of content-rich data types such as images, assay results, chromatograms, and sequences. Biotech requires a custom, focused approach tuned to a specific product or service lifecycle. Our experienced professionals use their deep industry knowledge and subject matter expertise to adapt solutions for your needs. We favor a prototype-based, iterative, adaptive system development methodology that matches the scale and cost of IT capabilities with the size and complexity of your business. We help you integrate information from various sources into a comprehensive product or service lifecycle management engine for your company. Immediate access to the status of projects and relevant experimental data enables informed decision making and early problem detection. With ready visibility into key business and scientific metrics, process bottlenecks are easy to detect and the effect of corrective actions is simple to measure. Quick, reliable and accurate traceability of biomaterials and results throughout the entire product or service lifecycle improves clarity and reduces mistakes. Systems simplify procedures for assembling and interpreting results and provide various reports, on-line views, and navigation aids. A lifecycle system encourages consistency of procedures, nomenclature, inventory management and reporting. Existing and planned technology investments in software and laboratory instrumentation become more valuable when linked with an overall framework.